Our Robot Overlords) is a 2014 British independent science fiction film , starring Callan McAuliffe , Ben Kingsley and Gillian Anderson . The film is directed by Jon Wright and produced by Piers Tempest. The estimated budget was $21 million. Not long after the invasion and occupation of Earth by a race of powerful robots wanting human knowledge and ingenuity, humans are confined to their homes. Leaving without permission would be to risk their lives. Monitored by the electronic implants in their necks, the robot sentries are able to track the movement of humans in order to control them. If any person attempts to exit their home, they are given warnings by the robot sentries to return their home. If he or she does not comply within ten seconds, they are killed. 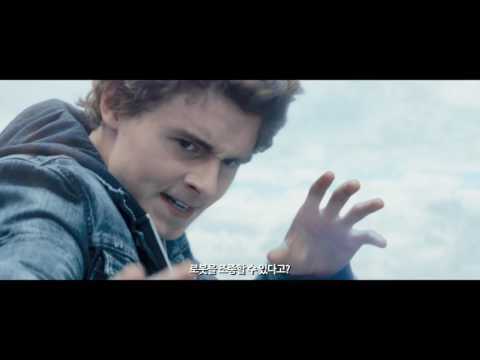 In the beginning of the film, a teen going by the name of Sean Flynn ( Callan McAuliffe ), is seeking his father, who went missing not long after the robots invaded, sending out hand-drawn lost posters hidden in tennis balls and fruit. Later, Connor, a friend of Sean's, is seen attempting to repair his Playstation , when Nathan, a young boy, accidentally shocks Connor, while a girl named Alexandra watches. The group discover that Connor's implant has been turned off by the electrical shock, and then perform the same procedure on each other to stay outside without being tracked down. The group enters a local museum, before Sean suggests that they go look for his father, Danny ( Steven Mackintosh ) at the school, where the files on all the people are kept. They discover that Danny is still alive, having been moved to a hotel, but are then caught and brought to a room with a deep scanner after their implants reboot. Here, Robin Smythe ( Ben Kingsley ) asks them how they turned off their implants. When they refuse to answer, Sean's uncle is brought in, and receives a black implant, before being subjected to a deep scan, a painful process that searches through all of a person's mental faculties before rendering them unable to eat, causing them to die in a few days. When the children still refuse to answer, Sean is also given a black implant before being subjected to a deep scan. In the midst of it, Sean insults Smythe, causing him to accidentally interrupt the deep scan, allowing Sean to escape the deep scanner alive. A few seconds later, Nathan, who had been left outside, bursts in with a makeshift fireworks launcher and frees the other children. The children hide in a bowling alley, where they turn off their implants once again before running to the hotel. When a large robot walks by, the four children hide next to a doorway, where Sean inadvertently controls the robot. The children then meet Monique, a woman who wants to know how to turn off the implants. In exchange, the boys meet Morse Code Martin ( Roy Hudd ), who has had his implant removed by a watchmaker, and also tells the children to go to Stonehenge. However, an announcement reveals that Sean's mother, Kate, has been taken prisoner in the area headquarters, a castle. With Monique's help, the children successfully get to the castle. However, they are caught by a large robot. Sean then discovers that he can take control of the robots because of his black implant, after discovering that the large robot responds to his movement. Meanwhile, Smythe is speaking with Kate about how he and she could live together, before an alarm goes off. Smythe leaves to go see what has happened. A few moments later, a young guard is tricked into giving the keys to the door to Kate. Meanwhile, outside, Sean appears to have been caught by the large robot, with Smythe scolding him. 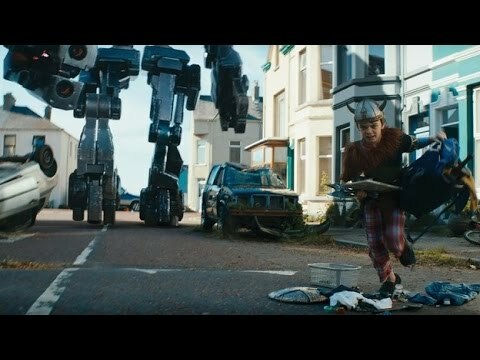 Sean then turns the large robot's weapon on Smythe and his team, forcing them to drop their weapons, which are picked up by the other children. Kate suddenly dashes by on a horse, causing Smythe and his team to follow. This opens the line of fire for two clankers, insectoid robots with a top-mounted weapon, which destroy the large robot, forcing Sean to hide behind it. One of the clankers then jumps down and prepares to fire at Sean, before Sean takes control of the robot and uses it to destroy the other, before commanding the clanker to deactivate. The children then track down Kate, before heading to Stonehenge, deciphering a message written in graffiti to find the location of a human camp, an old tin mine. Meanwhile, Smythe is told by Mediator 452, a recurring character in the film, that a large amount of deep scanners are arriving and that Smythe will be the first to be scanned if Sean is not captured by the time that they arrive. Sean and his friends are seen arriving at the human camp, where Sean is reunited with his father. The small group has their implants removed. The next day, the robots descend on the community seeking Sean, who is quickly discovered to be missing. Sean is seen reinstalling his black implant, before mentally controlling a robot craft that rams and destroys the cube, the local robot mothership, halting the invasion. He narrowly escapes the impact. He interfaces with a damaged Mediator, a robot in human form, and mentally sends commands to end the invasion of the Earth, destroying the robots and their craft. The film ends with jubilation as the local population celebrate in town. In the closing scene, Sean looks up at the stars. // [감자의 3류 비평] 로봇 오버로드 (Robot Overlords, 2014) 예고편 5960 views runtime : 0:00:00 감자의 3류 비평 (http://gamja-blog.tistory.com/)..